Corporal Elise Bowden was honored at Saturday night's Texas Rangers game, Saturday April 8, 2017. 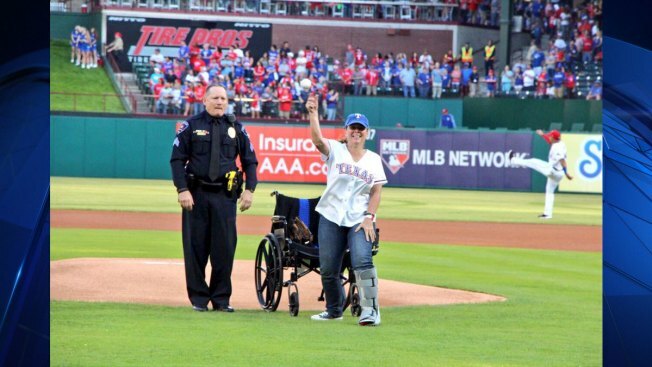 An Arlington officer threw out the first pitch at Saturday night's Texas Rangers game. Corporal Elise Bowden was run over by a man trying to get away from officers back in February. 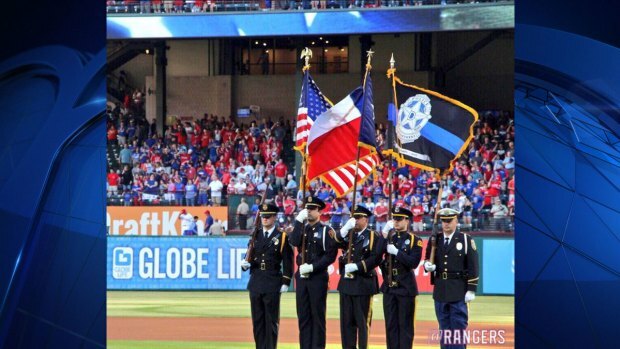 An Arlington officer is honored at Saturday night's Texas Rangers game, Saturday April 8, 2017. Corporal Bowden used a wheelchair to make her way to the pitching mound. It was all part of "Law Enforcement Appreciation night" at the game. 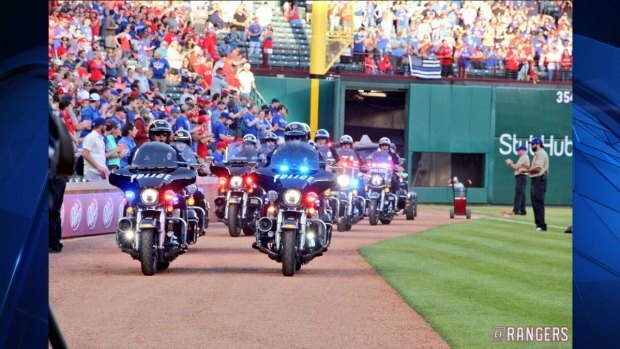 There was a special presentation before the game and a motorcycle motorcade that circled the field.